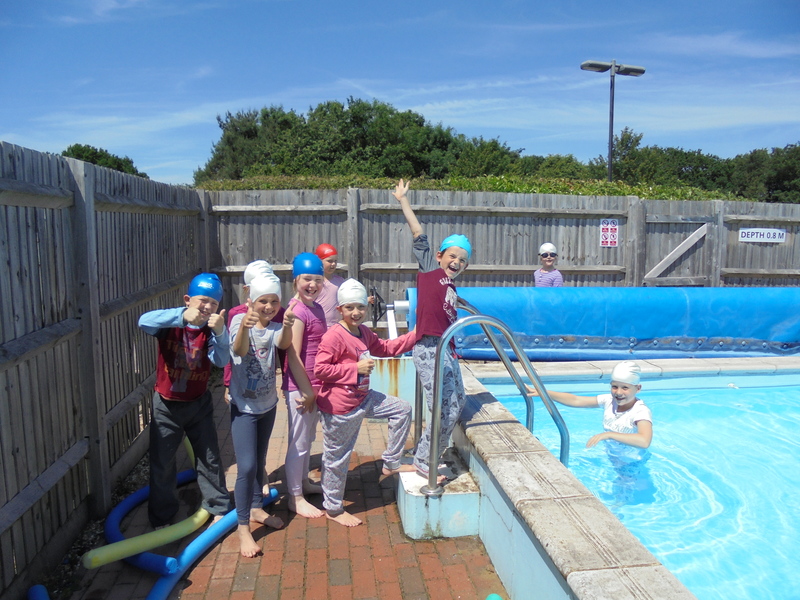 Y3 Pajama Party in the Pool! 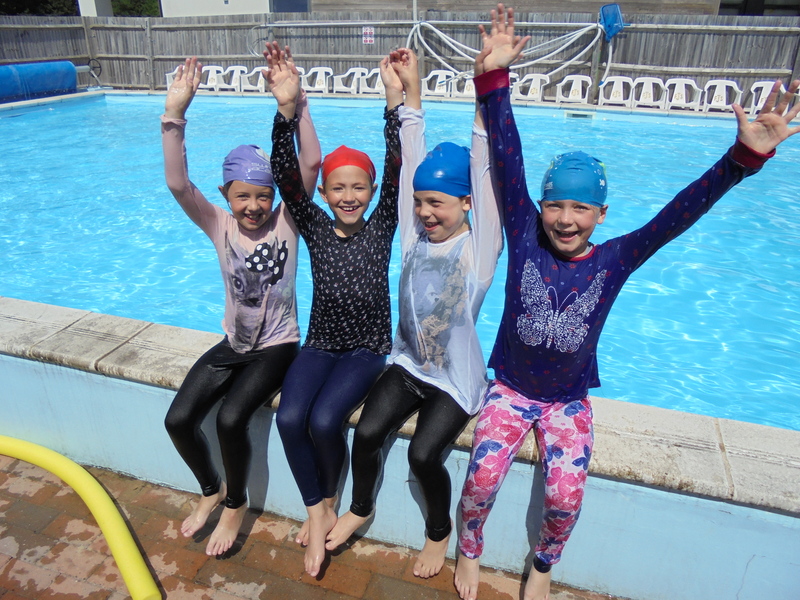 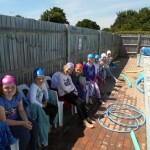 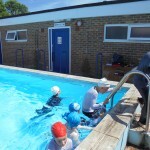 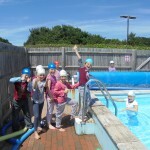 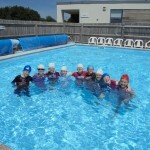 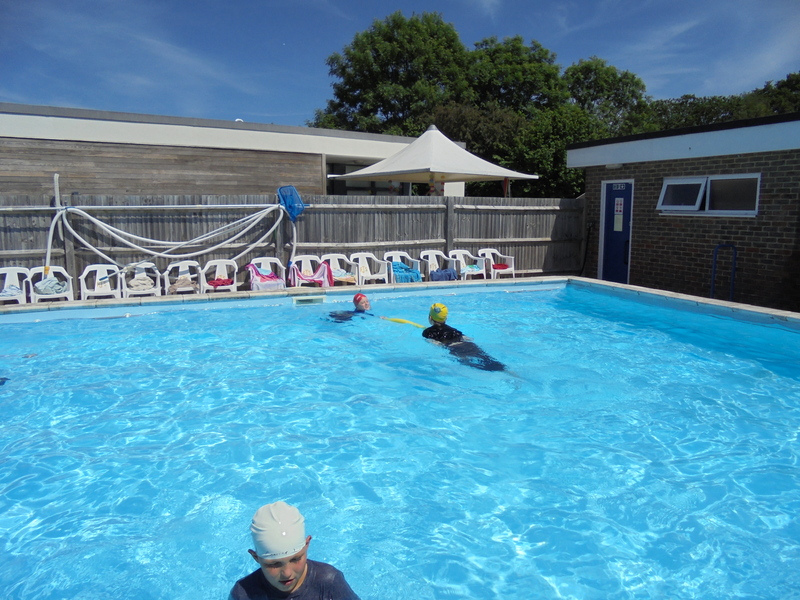 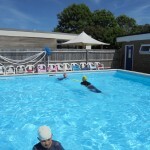 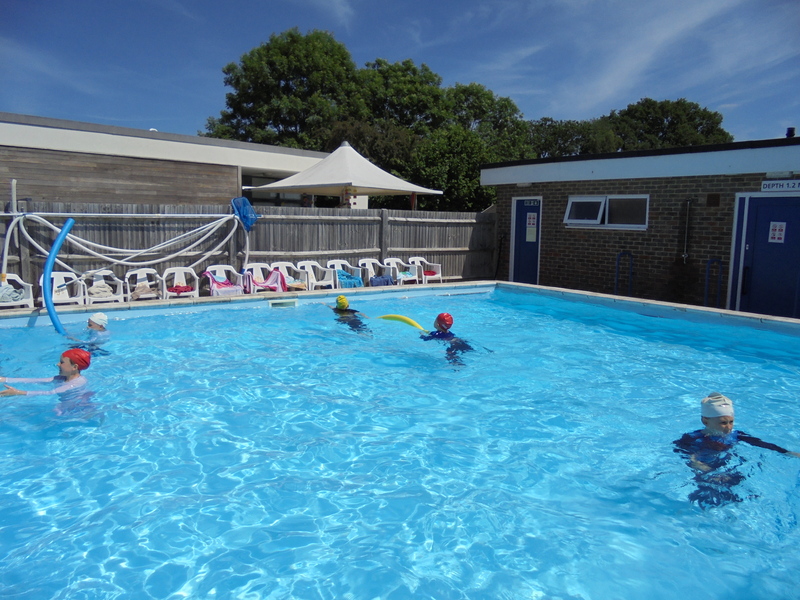 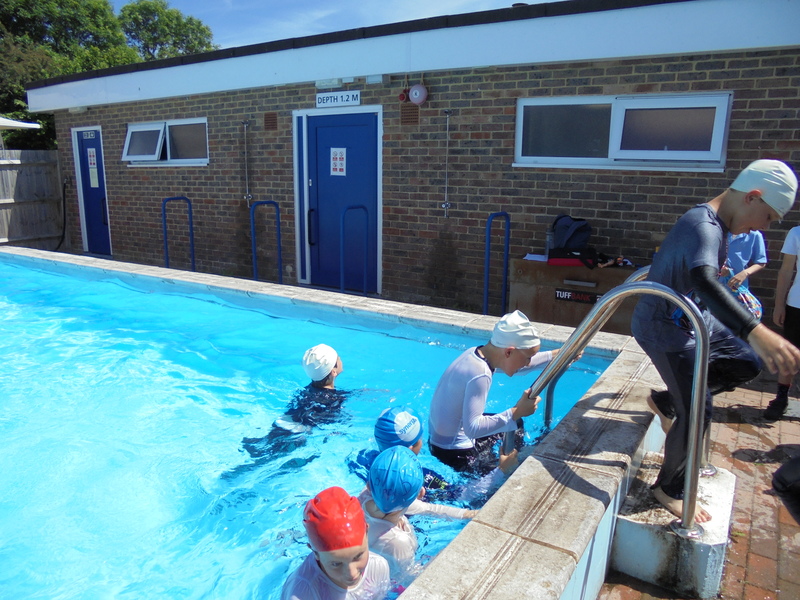 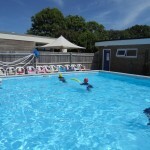 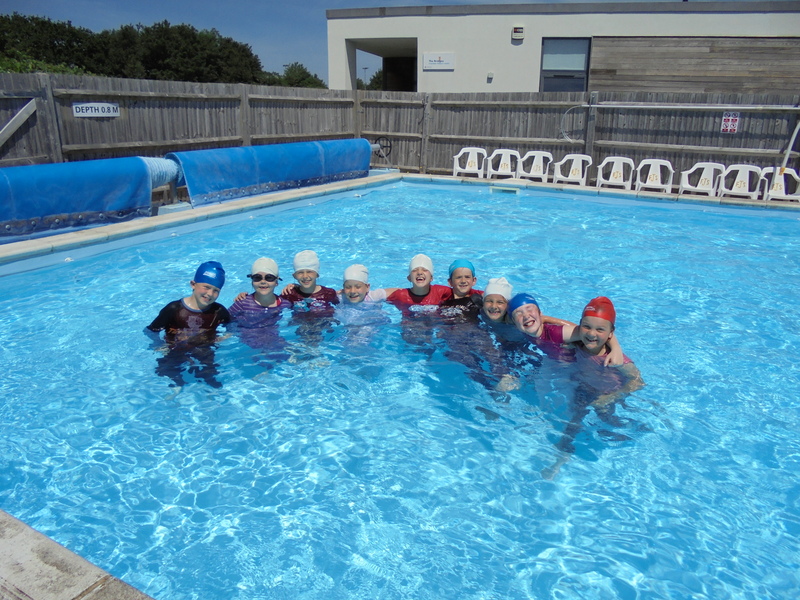 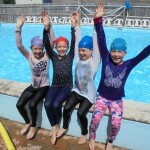 Year 3 had a great day swimming this week. 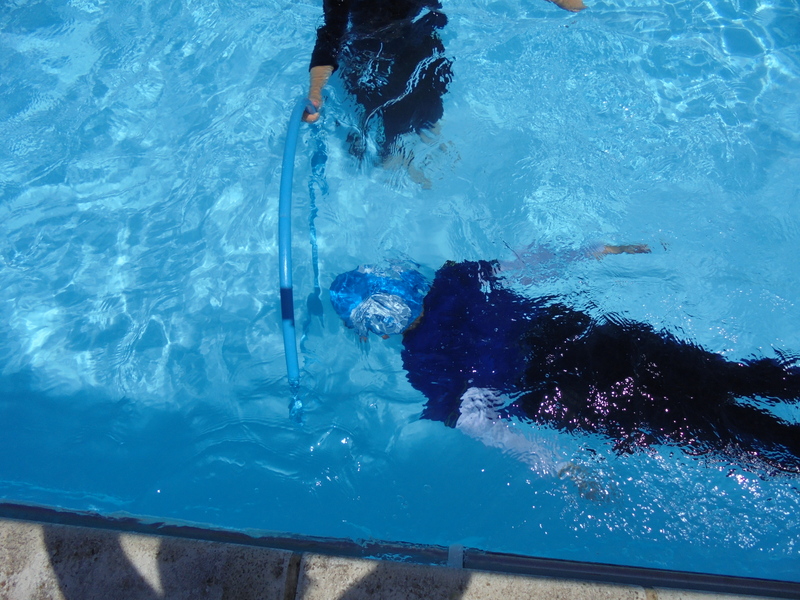 We brought in pajamas or light clothes from home to experience what it would be like if we fell into water in our clothes! 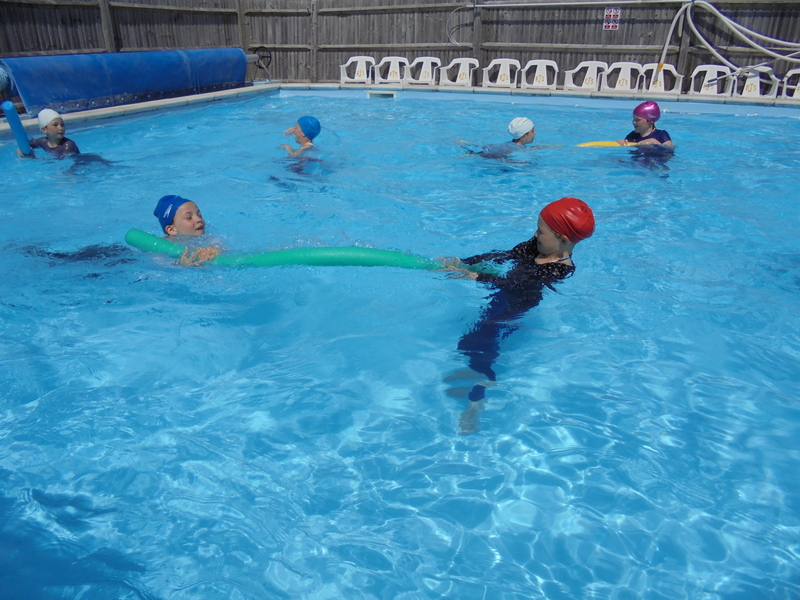 We also practice walking through water and swimming, as well as pushing and gliding then standing up to get ourselves upright in clothes. 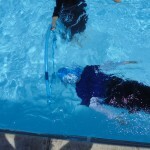 A few of us swam underwater through hoops. 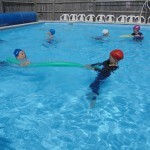 Some of us even practiced our rescue skills by saving each other with foam noodles!! 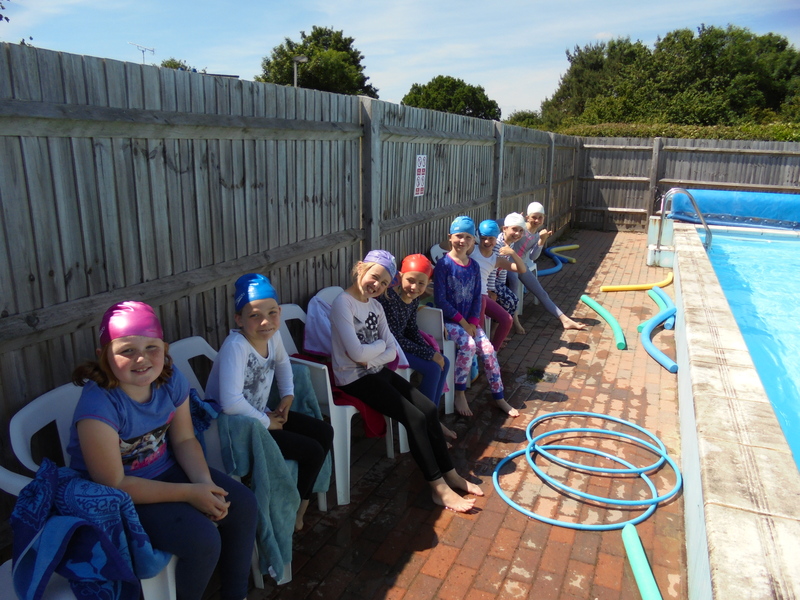 We had a great afternoon and although it was “weird” (in the words of Year 3) swimming in our clothes we also found out how tiring it was to swim in heavy clothes are a while and also how different it feels to pull ourselves out of the water!